"We believe your political philosophy embraces the fundamental tenants of the free enterprise system under which our industry operates and our economy flourishes." SB 1265 addresses the problems people experience when they buy a new home, apply for insurance and believe they have insurance at the point they are issued a binder from the insurance company. Suddenly, after moving into the house, they are informed that the insurance has been cancelled based on information found in their Comprehensive Loss Underwriting Exchange (CLUE) Report. At this point they are stuck since mortgages require insurance. They could either lose their home or pay rates that are unaffordable for them. Both situations are a nightmare for a homebuyer. This was the problem brought to me by the realtors. They were finding more and more people caught in this nightmare and we needed to do something about it. One of the things an insurance company looks at when determining whether to insure someone is the CLUE Report. This is a database that tracks any and all claims you have filed even if the insurance company has not paid a penny on that claim. It also keeps track of all questions you have asked your insurance company. Many companies use the CLUE Report to determine whom they wish to insure. There was no excuse, however, for them to delay looking at the report until after a house has closed. Since the CLUE Report is easily accessible on the Internet, there is no reason for an insurance company (who uses the CLUE Report to determine coverage) not to have checked the CLUE prior to issuing the binder. SB 1265 requires an insurance company to look at the CLUE Report prior to issuing a binder. The company cannot use the CLUE Report to cancel a homebuyer's insurance after issuance if the report was not consulted prior to issuance. Also, if a person applies for insurance at the opening of Escrow, the insurance company cannot cancel the policy after thirty days has passed based on anything found on the CLUE. Under these circumstances, a binder is truly a binder and cannot be cancelled. As a result, people will not be caught without insurance, which could lead to a loss of the home or insurance rates so high that the home becomes unaffordable. 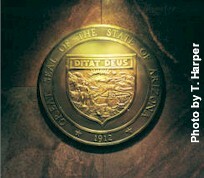 SB 1265 was signed by the Governor on April 28, 2003. It will go into effect in January 2004 to give insurance companies time to change the way that they do business. * This general summary is provided for informational purposes only. For further information, see SB 1265, Laws 2003.